Jesson & Rains focuses on three primary areas of the law: estate planning, business, and construction law. For our estate planning clients, we offer a thorough consultation to go over all assets and liabilities to provide an individualized plan that is right for you, including will drafting, trust drafting, powers of attorney, healthcare agent designation, and advanced healthcare directives (also known as a "living will"). Our attorneys also represent personal representatives during the estate administration process when their loved one has passed away, helping them to navigate the probate court process, which can be confusing and time consuming. 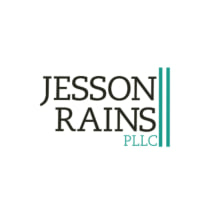 Jesson & Rains is also a full-service business and construction law firm. Edward and Kelly help businesses and non-profits form, organize, review and draft contracts, handle employment issues, collections, construction contracts and liens, insurance disputes, and litigation, should the need arise. We offer clients a wealth of legal experience typically found at big law firms while maintaining relationships with clients one finds only at smaller firms. We proudly serve Charlotte, Gastonia, and Concord, as well as other communities in Mecklenburg, Gaston, Lincoln, Iredell, Cabarrus, and Union counties. We look forward to working with you.